Abyss Crew is a multiplayer adventure cooperative game where players are the crew of a submarine, in a steampunk universe inspired by Jules Verne worlds. Each player has a specific role: Pilot, Radio, Gunner, Engineer or Captain. Players have to interact with each other, which is the core of the gameplay: you can’t drive the whole submarine alone, you have to rely on your crewmates. Our goal is to give players plenty of opportunities of discussion, of negociation, of tension, … and finally, a feeling they participated to an adventure together! Aquarealm Studio is a independent videogame studio, located in Montreal, QC, Canada. It has been founded in 2016 by a team composed by Pol ‘Pollux568’ Grasland-Mongrain and Bastien ‘burgzaza’ Blavet. 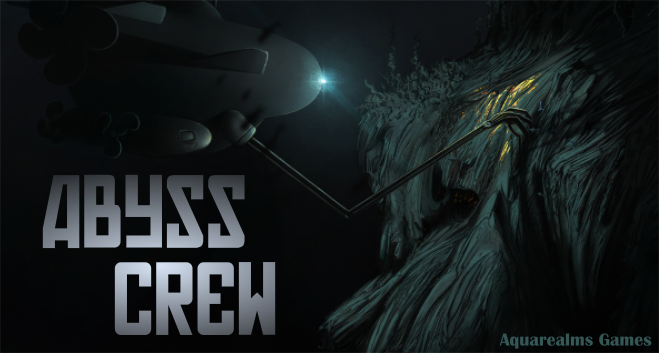 Our first game is called 'Abyss Crew'.